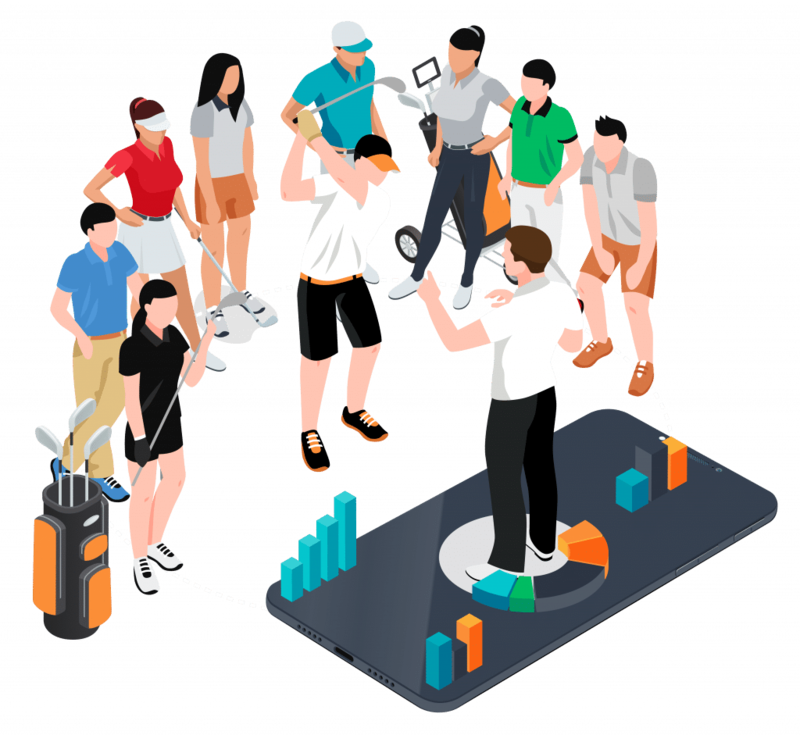 Anova.Golf helps high-performing players, coaches and teams to measure and identify the performance areas that have the biggest impact on improved performance. Collect information on your rounds in practice and tournaments to figure out your current performance level. This is your baseline and starting point. Without this information it is impossible to know if you are getting better. Analyze your strengths and weaknesses. Compare your skill levels with the average tour player or a handicap group. Anova makes it easy to see the areas of your game where you excel and those that need improvement. Compare your current performance level with your target performance level. 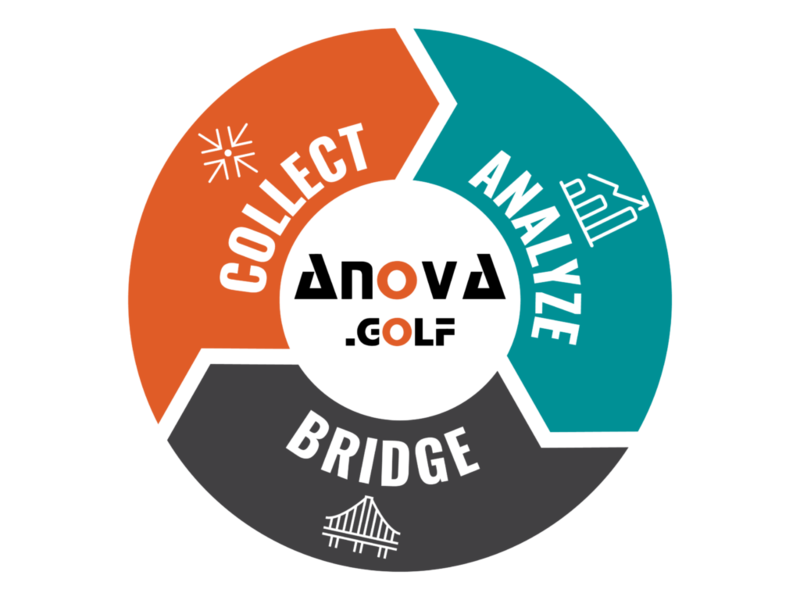 Bridge the gap between your current skill level and your target skill level. Use the data from Anova to design highly efficient practice plans together with your coaches. When you have reached your target skill level, start this process over again for a truly supercharged data-driven improvement cycle. Anova.Golf helps you measure your on-course performance, so that you can make better decisions about what to focus on and get better faster. Don’t take our word for it. Sign up today and get a free 30-day trial. Analyze your game with our powerful Strokes Gained analysis. It will tell you exactly in what category you are gaining or losing strokes in comparison to an average tour player, vital information you need in order to improve. 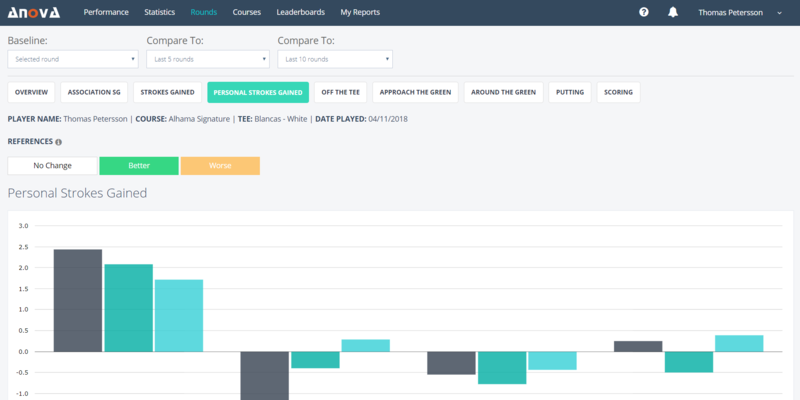 Our innovative Personal Strokes Gained analysis gives you an immediate answer by comparing your recent rounds to that of your normal performance. What have I been doing better or worse recently? The PSG analysis gives you quick answers. Access your Anova.Golf account on the go with our iPhone app! When using the app to add their rounds, our players report that they add their rounds 25% faster. If you're looking to get a quick overview of your stats, our dashboard is the way to go. Although we measure over 500 variables, here you can grab a quick look at some of the most important key performance indicators. Our data are organized according to shot type and categories, but you are also able to see them all at once. How many holes have you gone without a 3-putt? Anova.Golf will keep track of this for you, along with 16 other interesting streaks. Analyze your game against other Anova.Golf users, or use any of our 20 other benchmarks to help you set an appropriate target performance level. Easily connect your Anova.Golf account with your coach. Improvement at the highest level requires a very precise feedback loop, and Anova.Golf gives your coach shot-by-shot information about your rounds - the next best thing to being there and watching you play in person. Anova.Golf generates over 500 different variables. This isn't to overwhelm you, but instead to give you the opportunity to really dig deep into your performance, and to find performance gaps that will help you take your game to the next level. Our platform looks great on any device, so you can always access your Anova.Golf account, even if you're on the go. Anova.Golf has been used on many of the world's biggest tours, including the European Tour, Web.Com Tour, Asian Tour, PGA Tour of Australia, LPGA Tour, LET, and many more. I think the Strokes Gained analysis and the rest of the stats Anova provides are awesome. My coach and I use them to better pinpoint the practice areas I should focus on to reach my goals faster. Anova.Golf is an extremely useful tool when trying to compete professionally. In an effort to constantly move forward and improve my game, having immediate and accurate stats makes it easy to practice the right things. My best year on tour was the first year using Anova.Golf. I'm loving how comprehensive Anova is. First of all, the round entry is super easy, then you have hundreds of incredibly interesting pieces of information at your disposal about your own game. It is amazing! I've been stuck at a 4 index for a number of years trying to figure out how to improve my golf game. I've taken lessons and studied new techniques but found there was simply a lot of "noise" and opinions without any clear path for improvement. I have tried other stat programs and found that they were too clunky, hard to find the right information or didn't exist at all- waste of money and cumbersome to learn a new system. Then I had a friend recommend Anova and I decided to give it a go- world of difference! In 2013, I hit a performance plateau that I couldn't break through, and I went on a quest to try to figure out why. Anova's Strokes Gained analysis told me that what I thought was my biggest strength (approach shots) really was my biggest weakness. Armed with that information, I've been able to make big changes to my practice routine and I'm already seeing big improvements in my game. Plans are also available in Euros and Swedish SEK. Get a monthly statistical analysis right in your inbox. For high-performing golfers who want all the information available. For golfers getting started with data analysis for golf. Can I try your platform for free? Yes! We offer a free 30-day trial to give you plenty of time to try out Anova.Golf and add your first rounds. Just pick your plan and walk through our simple registration process. We don’t require a credit card up front. After registration, our system will take you directly to your dashboard where you can see sample data of how things will look when you have added your own rounds to the database (you can turn this sample data off if you’d like). You can start adding your own rounds immediately to see your own golf stats! After the 30-day free trial is over, you’ll have to subscribe to one of our paid plans in order to continue using the application. If you’re not satisfied with Anova.Golf, we offer a 30-day money-back guarantee, no hassle and no questions asked. Not unless you want to. We offer month-to-month plans where you can upgrade, downgrade or cancel your account at any time, no hassle and no questions asked. Yearly plans are available for a discount if you commit to a longer time period. You can change your plan at any time, and the changes will take effect at your next billing cycle. If you are upgrading your plan and want your plan change to take effect immediately, please contact us. Please note that downgrading your plan is only possible at your next billing cycle. start using a data-driven approach to your golf game today.